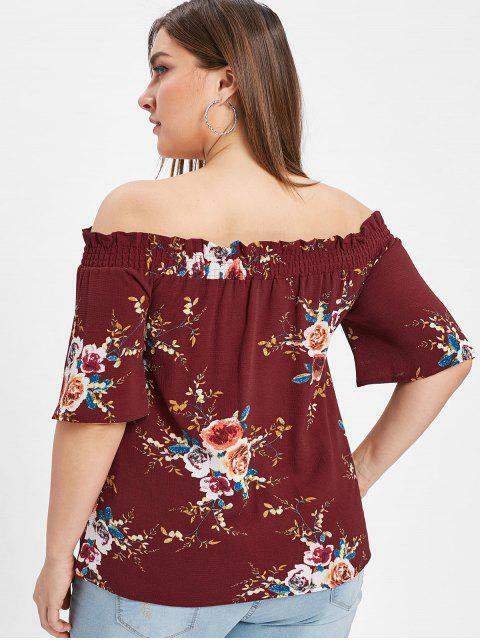 [23% OFF] 2019 Floral Plus Size Off The Shoulder Blouse In RED WINE | ZAFUL .. 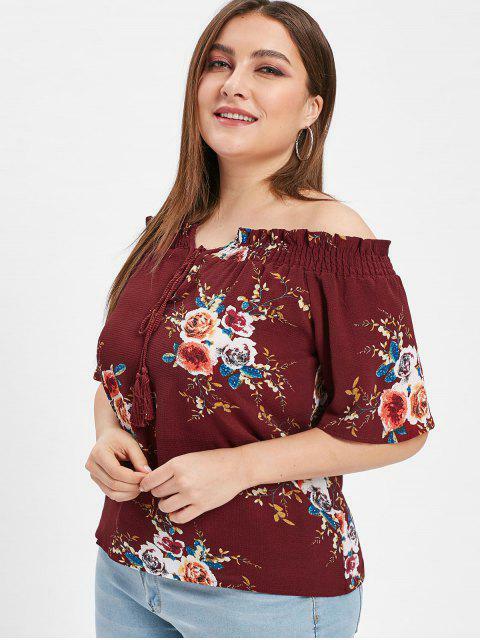 Designed to an off-the-shoulder cut, the floral top features self-tie with tassels ends at the front. 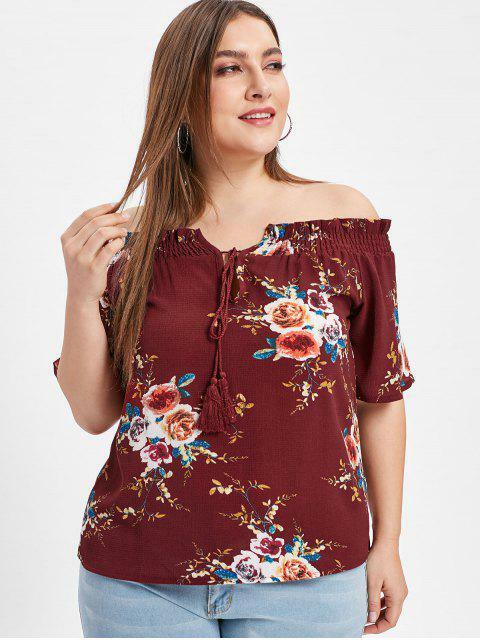 Wear yours with faded jeans, accessorizing with a trophy bag to embrace the playful mood.